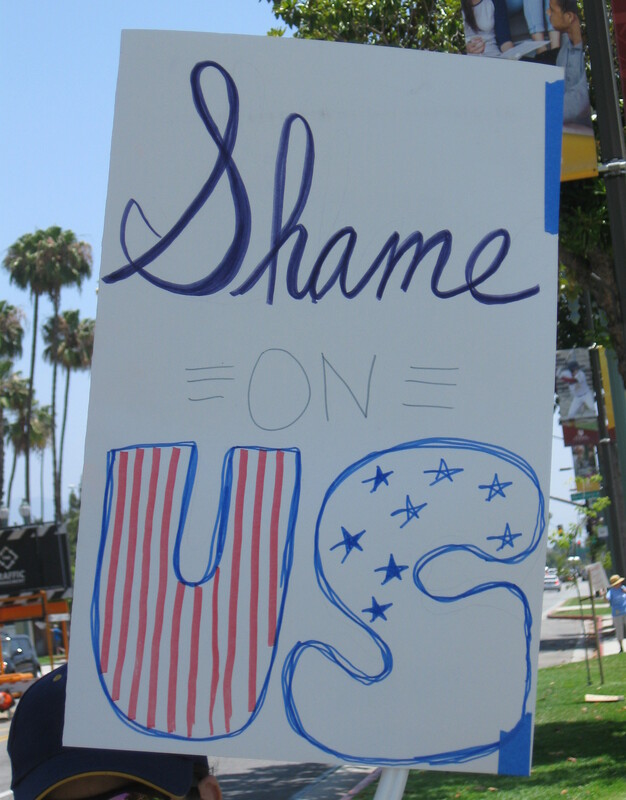 Report back on the march in Pasadena, one of at least 70 in California and 400+ in the US. Originally I was planning to attend the march in downtown LA (which is closest to me) but decided instead to go to Pasadena. Marches in downtown tend to be on closed off streets and mostly out of public view, whereas the one in Pasadena would probably be on sidewalks along busy streets*. Indeed, the march went along Colorado Boulevard from Pasadena City College (PCC) to City Hall and then back to PCC. Many passing cars honked in support (and a few trump supporters shouted things). Several families, many with small children, came out. According to MoveOn’s site, 500 people registered as participants, and it seemed at least that many showed up. Both MoveOn and Planned Parenthood were involved in the event. 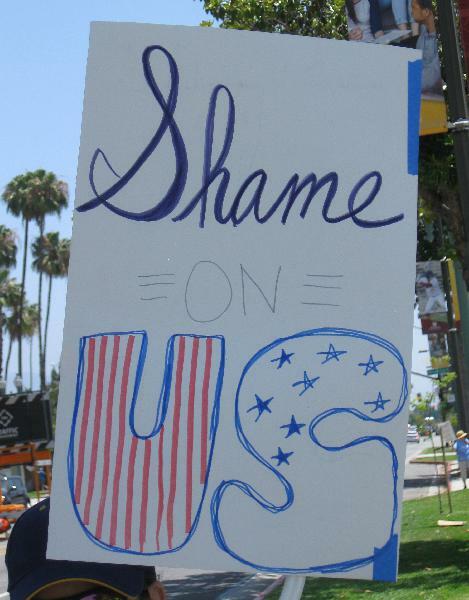 Supporters of racism and cruel, dehumanizing treatment of people being more comfortable expressing their views, even in Southern California, was exhibited. One such person shouted at us from his car (pictured in photo set 2: http://la.indymedia.org/news/2018/07/296928.php). His statements were so ignorant many in the crowd laughed at him. Yet he found a parking space and began following us on the sidewalk continuing with his remarks, usually talking in bumper sticker speak. He had only a few short statements that he repeated over and over. Nothing anyone said resonated with him. He ended up following us off and on for the most of the remainder of the event. When we arrived at City Hall, we learned that a wedding was taking place in front, so our rally was moved to the Pasadena Central Library. Afterward, the march returned to PCC, again going along Colorado. *I think there’s value in the larger marches downtown--being part of a massive crowd--but if there’s a chance for direct interaction with the public, I tend to lean toward that.